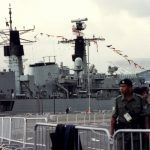 This was Hong Kong twenty years ago. 30 June 1997. 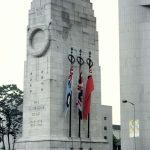 As Britain returned Hong Kong to China leaving behind years of colonial rule and an uncertain but resilient population. 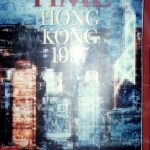 Twenty years later – Hong Kong still prospers – but the gap between the haves and have-nots is ever bigger; the people have no say in who may stand as a candidate for Chief Executive, and many of the post 1997 generation are seeking some form of self-governance and a greater degree of independence from Beijing. My old Reuters colleague and long time CNN Hong Kong anchor prepared this excellent short backgrounder. 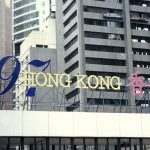 So here we are – on Saturday 1 July Hong Kong will mark 20 years since the territory was handed from Britain back to China. The Last night of the Proms. Far too much fun; with the welcome addition of popular Chinese music as well as the usual suspects – Jerusalem, Land of Hope and Glory etc. It rained, and it rained. And it rained some more. The Hong Kong Philharmonic playing Elgar’s Nimrod Overture in a deluge. Chris Patten, with his head in his hands. It was as though he was the only person who cared. Everyone else was going through the motions – doing what protocol dictated. Prince Charles and the then-prime minister Tony Blair were there. In a diary he kept during his time in Hong Kong that was later leaked, Charles referred to the Chinese leadership as a “group of appalling old waxworks”. According his account, then Chinese president Jiang Zemin “gave a kind of ‘propaganda’ speech, which was loudly cheered by the bussed in party faithful at the suitable moment in the text. At the end of this awful Soviet-style display we had to watch the Chinese soldiers goose step on to the stage”. At the end of the ceremony, Prince Charles and the last governor of Hong Kong, Chris Patten, sailed away on the Royal Yacht Britannia, which was decommissioned later that year. 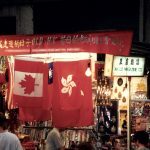 Other than India the return of Hong Kong was perhaps the biggest sign of the end of any form of British Empire. 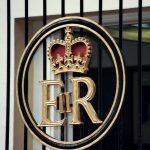 Britain’s role in the world became historic rather than current. 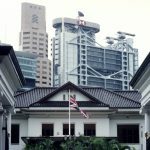 Parts of Hong Kong had been ceded to Britain in perpetuity as a prize in the wake of the (shameful) Opium Wars, but the majority of its territory was leased to the UK in 1898, for a period of 99 years. 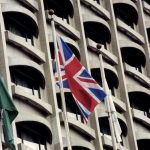 By the time discussions between the UK and China began over the future of Hong Kong in the two decades leading up to the end of Britain’s lease, the parts of the city ceded and those that were leased had been entirely integrated. Any plan that did not cede full control to Beijing, was rejected immediately. 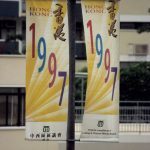 This meant all of Hong Kong was handed to China at midnight on 1 July, 1997 with the promise that the city could maintain its unique way of life and separate government and laws for a period of 50 years. 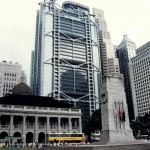 Since 1997 the HOng Kong government, along with Chinese officials, have pushed for closer links with the mainland through massive infrastructure projects, changes in education and deeper business ties. Chinese president Xi Jinping will also make his first visit to Hong Kong since coming to power in 2012. He will carefully avoid meeting the people and attend only choreographed events with the bussed in faithful. The reality is that nothing will dramatically change in the near future. Beijing is firmly in control. Mass pro-democracy protests in 2014 failed to secure any changes or promises from the government and daily problems such as skyrocketing real estate prices, deteriorating education standards and stagnant wages dominate daily discourse. Just 2/5 of the way to the end of 50 years of one country two systems the one country part of the equation dominates.